I recently went to a Rick Astley concert. I know, how very eighties of me! But it’s allowed because I grew up in the eighties – Rick, Cyndi Lauper, neon (when it was known as fluoro), Walkmans, ‘Relax’, ‘Choose Life’ and cinch belts were all part of my life. If those things mean nothing to you, perhaps stop reading. 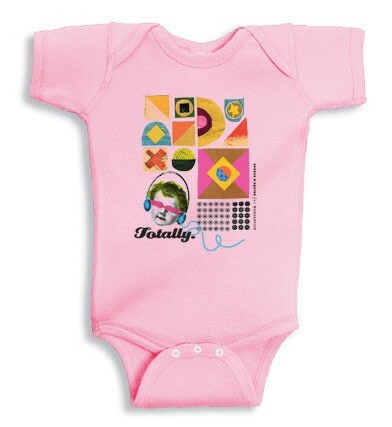 However, if you are humming ‘Never Gonna Give You Up’ right about now, read on because I’m sure you’ll want to dress your baby in these bulk-ace artistic eighties onesies. 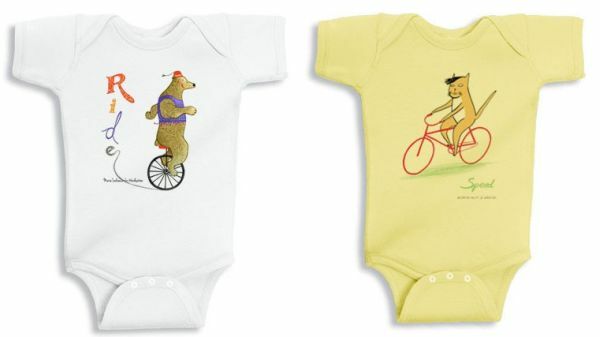 Wordsation offers onesies and t-shirts for bubs and toddlers that like to give their look an artistic edge. The designs are created by artists from around the world and new designs are featured each month. While I love the totally rad eighties slang collection by New York designer Andrea D’Aquino, there are plenty of other designs to appeal to animal lovers, superheroes and for those that crave cake. Aurora Cacciapuoti’s Bike Collection is particularly cute and includes a cautious, helmet-wearing bunny, a speedy cat and a horse that’s set to cruise. 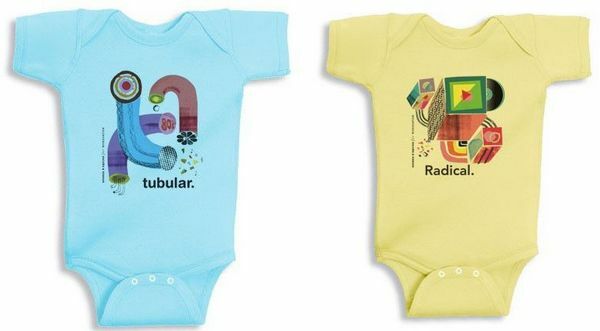 Wordsation designs are available as onesies, sized from newborn to twelve months and as toddler t-shirts sized from two to four years. 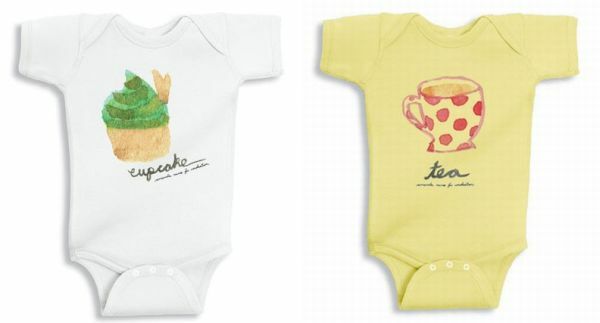 Most designs come in a range of colours and both onesies and t-shirts begin at US$22. 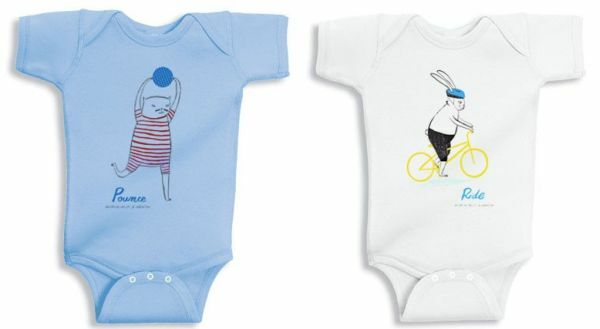 Onesies can be purchased individually, in ‘design collections’ of three, or as a year long subscription as baby grows. Wordsation deliver to Australia by arrangement.